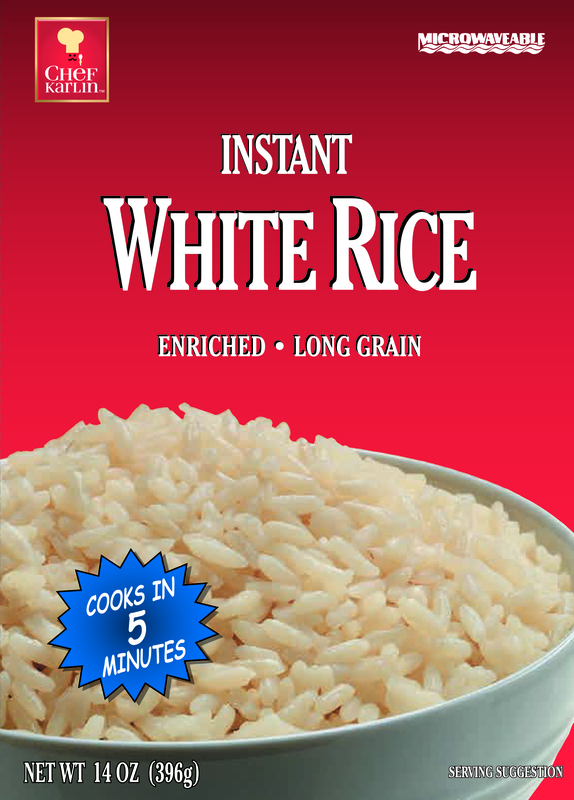 Ingredients: Enriched Precooked Long Grain Rice (Niacin, Iron, Thiamin Mononitrate, Folic Acid). Using measurements from above table, bring water to a boil*. Stir in rice, cover and remove from heat. Allow to stand 5 minutes or until water is absorbed. * Margarine and salt may be added to taste. Using measurements from above table, place water and rice in a microwave-safe bowl*. Cover and Microwave on HIGH. ** Because microwaves cook differently, times are approximate.